Community Impact, helping cancer patients with home cleaning while they focus on their health. Big City Maids, the Cypress home cleaning service is a proud member of Cleaning for a reason helping the community. Do you know someone who is fighting cancer? 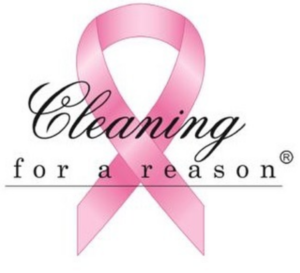 We are proud members of Cleaning for a reason, a nonprofit organization that is dedicated to helping women during their fight against cancer with free home cleanings. Cleaning your home should be the last thing on a cancer patient’s mind if you are fighting this terrible disease. We will allow you to focus on your health, we will focus on the cancer patient’s house cleaning. Cleaning For A Reason is a nonprofit organization that serves all the United States and Canada. Our mission is to give the gift of free house cleaning to women undergoing treatment for any type of cancer. Our goal is to let these brave and strong women focus on their health and treatment while we focus on, and take away the worry and work of, cleaning their homes– free of charge. We have recruited over 1,200 maid services to donate free housecleaning to women who are undergoing treatment for cancer. Since 2006, our partner maid services have volunteered their time to clean for over 28,000 women – valued at over $8,000,000. All gifts are tax-deductible and the donor receives an acknowledgment for the donation. Please use our Corporate Matching Gift search tool to find your employer and all the necessary information to submit a matching gift request.